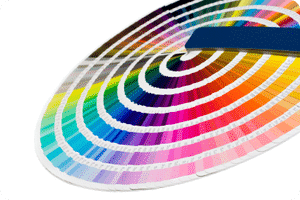 The color printers in offices today have the ability to make truly stunning images. You no longer have to go to a specialized business to get photorealistic prints right in your office. This is the truth for most copiers, but some people are still left disappointed when they see their color prints. This is usually a user error, not a problem with the machine. If you follow a few simple steps then you can learn how to get the best color prints. The major problem that people have when they try and get color prints is that they don’t get their machine ready. Some people think that just because it’s a color printer, then it should give you amazing results each time. The reality is that your printer has a number of functions and it can be setup to give you the best results for the job at hand. If your prime your machine for success then you will get the best results. Set print drive to full color. This will open a new range of colors available. If you follow these steps then you will be able to utilize your color features to the best of its ability. Don’t settle for dull colors for another day. Set yourself up for success and print with confidence, knowing that you will get the best color prints possible.